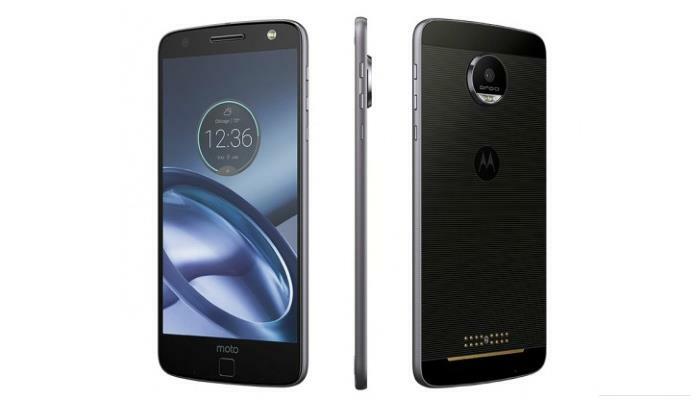 Earlier today, Motorola introduced two new smartphones, the Moto Z and Moto Z Force. The handsets are set to launch in September in three color options: Black, Fine Gold and Black with Rose gold trim. If you’re based in Canada, there’s some bad news for you, especially if you want all three color options. The company confirmed to MobileSyrup that only the black color variant of the Moto Z will launch in Canada. There’s no word about the official pricing details for the Canadian market, but the handset is listed on the company’s Canada website. The company only said, “Moto Z will be broadly available in Canada at various retailers this fall.” That’s everything we know about the launch of the handset in Canada at the moment. As a quick recap, Moto Z ships with a 5.5-inch display sporting a resolution of 2560 by 1440 pixels, a Snapdragon 820 processor, 4GB of RAM, 32/64GB of internal storage, a 13MP camera for photos and videos, 5MP front-facing camera, a 2,600 mAh battery and ships with Android 6.0 Marshmallow out of the box. We’ll update you as soon as we hear anything about the launch of the handset in Canada.